The park dedicated to the project "La Ruta de la Paz" is documented in an interesting video that shows the location of the monumental works of the sculptor Jiménez Deredia in "Hacienda Espinal" in San Rafael de Alajuela in Costa Rica. The video, that can be consulted in the VIDEO section of this website, shows these majestic works in their impressive final placement. On February 19th, 2015, the "Ana Lucia Gómez Arte Latinoamericano" Gallery inaugurates an important event to honor the Costa Rican master Jiménez Deredia. The main objective of the event held in the Guatemalan gallery will be to celebrate the work, thoughts and career of Jiménez Deredia. For this occasion, art work of the artist will be exhibited so that the public in Guatemala can admire his latest creations. 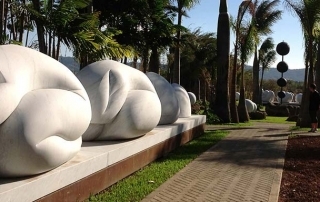 The project "La Ruta de la Paz" by the sculptor Jiménez Deredia can finally be appreciated in its entirety in a new sculpture park and in a new museum that is being realized exclusively for this project, in San Rafael de Alajuela, Costa Rica. The monumental sculptures that the artist created for the "Deredia a Roma" exhibition have found a definitive location in a park that enchants with its poetry and the artistic and architectural balance it emanates. The sculptures of the park interact with nature and the native vegetation of Costa Rica as if trying to communicate the symbolic values ​​of the American continent. The museum, still under development, will host a more detailed description of the project "La Ruta de la Paz", showing the preliminary drawings and architectural-sculptural projects that the artist has created for each country on the continent. The museum and the park of "Hacienda Espinal" aim to become an important reference point for the museum culture of Costa Rica and will surely be a driving force for the future development of the project across the continent. 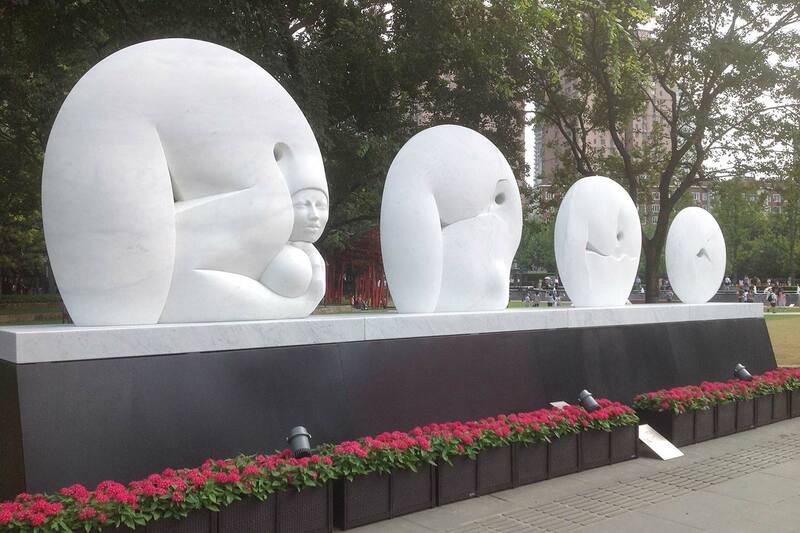 The city of Shanghai invited sculptor Jiménez Deredia to participate in the Jing'An International Sculpture Project, the city's most prestigious sculptural event. 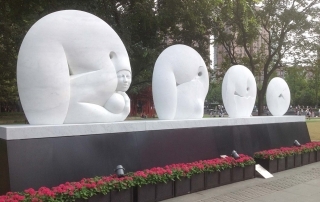 Jiménez Deredia placed the white marble statue Genesis called "Canto a la Vida", which is 10 meters long and weighs 20 tons, within the Jing'An Sculpture Park. In 2012, a commission visited the sculptor's workshops in Italy to choose the work of art that was then inaugurated on September 19th, 2015. The offices involved in culture, radio, cinema and television, tourism and urban planning of the city sponsored the event. 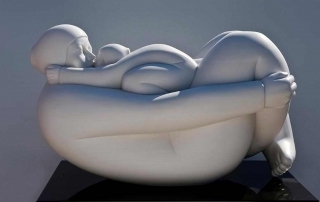 In 2010 Jiménez Deredia participated in the World Expo held in Shanghai with a monumental sculpture. Here he created relationships with curators and art critics from the city. For the artist, this 2015 artistic event is an important opportunity to return to one of the most important Asian cities. 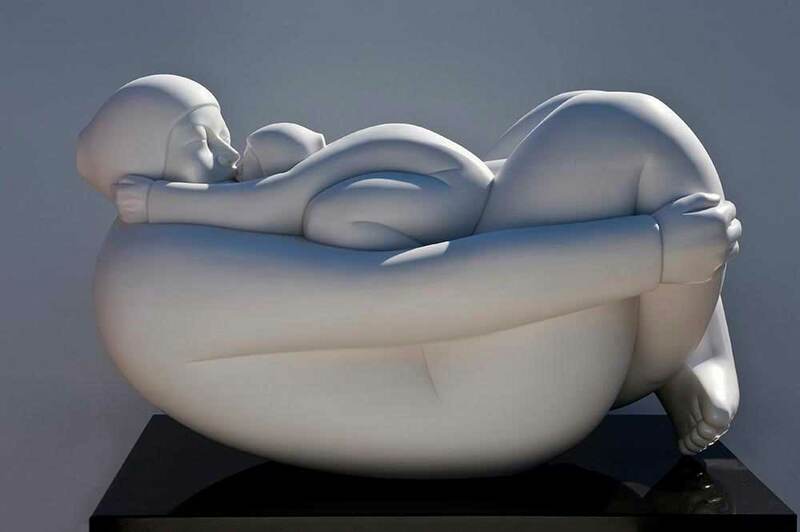 His work has been widely publicized in Singapore, in Malaysia, in Hong Kong and in Beijing.